Sven Huisman heeft weer een goede post geplaastst op zijn weblog. Verron Martina from VMware dropped me an e-mail with a lot of recommendations for running Citrix in a VI3.x environment. These recommendations come from other system engineers from VMware working in the field. Thanks Verron, for sharing this. I used the ballooning driver. Some Citrix forums will tell you not to use it but for us the ballooning driver made a complete difference. Start by using only one vCPU per VM and if possible use affinity to make sure that the VM is not running on the same core as the console or another VM. The sweet spot we found was to assign only 2GB to the VM and something between 30 and 40 users per VM. Our target was not to beat a physical CPS server with a single VM but get more aggregated users using 2 or 3 VMs (depending on the number of cores available) with no more than 40 users per VM. Do not over commit the cores as that will lose advantage. The final target for us was to demonstrate that the VMs running simultaneously on the same physical server can get a higher number of users (between 70 and 90% more) than a normal CPS installed on the same HW while user experience (keyboard-screen response times, login times, app launch times, etc) are very similar. Some times we have to be patient and wait a few minutes for the VM to get steady, then the magic shows up and the VMs will surpass the physical server regarding load tolerance. Regarding login times, the VM can show longer times; however, once the user is in, the VMs will look fast. Check than DNS servers are not getting messy as this is commonly the problem with long login times. Use one virtual disk for Windows and CPS and a different virtual disk for Windows paging of the same VM. When installing VMware tools use a custom installation and remove the shared folder feature. This is very important as Citrix seems not to like that and it is a useless feature on ESX as it’s meant for Workstation. Build your template Citrix virtual machine from scratch (don’t convert an existing physical server). This will allow the Windows operating system in the guest to use a uni-processor HAL, as opposed to a SMP HAL, streamlining the guest operating system. Configure the template vm for 2-4 GB RAM..
Configure separate virtual disks (VMDK files) for the operating system and the pagefile. 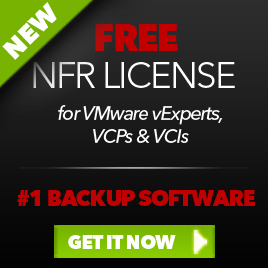 Ensure you align the NTFS partition in the VMDK prior to the Windows installation in the guest (at Netapp – http://media.netapp.com/documents/tr-3593.pdf; at VMware – http://www.vmware.com/vmtn/resources/608). One of the things many Citrix shops struggle with is their deployment process – how do we maintain an up-to-date image for the farm that incorporates the required applications and accommodates the hardware in question… rolling out Windows, including updates and patches, and the Citrix software (though this could be handled by Citrix Installation Manager). Either way, you are maintaining server images somewhere either through the use of a complicated installation script, or through imaging software such as Ghost. Using virtual machines, all you need to do to enable a DR site is have a copy of the required virtual machines in the remote location – hence you only need to set up the farm once, and maintain a copy of it in the remote location. Spinning up your DR or business continuity site is a matter of ‘powering up’ the virtual machines. 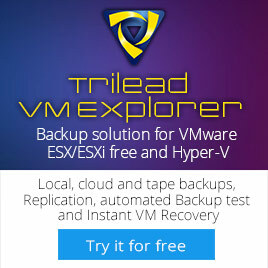 VMware Site Recovery Manager may even help automate that process. This entry was posted in Citrix, Virtualization, VMware and tagged ESX 3.0.x, ESX 3.5, ESX 3i, Presentation Server 4.5, VirtualCenter 2.0.x, VirtualCenter 2.5, VMware on July 2, 2008 by afokkema.